The LOWA Combat Boot Brown GORE-TEX® is considered as the best military combat boot on the market today. 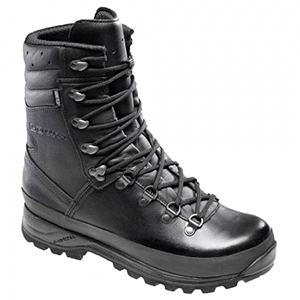 LOWA's Military specification tactical boot is the product of 90 years of European boot-building craftsmanship. The fully waterproof LOWA Combat Boots have been the military boot of choice for decades. Armed Forces worldwide rely on it's legendary fit, comfort and durability in the most rugged of conditions. Identical in most respects to the LOWA Mountain boot in specification and style the key difference is the taller leg shaft for extra support in difficult terrain. No nonsense, hard wearing, easy-to-maintain and with all of LOWA's fantastic foot technology combined in a combat boot for the discerning professional. The LOWA Combat Boot is ideal for military personnel worldwide.